Historian H. G. Jones looks over his papers and sketches from his compilation of Sketches in North Carolina USA: 1872 to 1878. 2002, News & Observer file photo. Reproduced with permission. 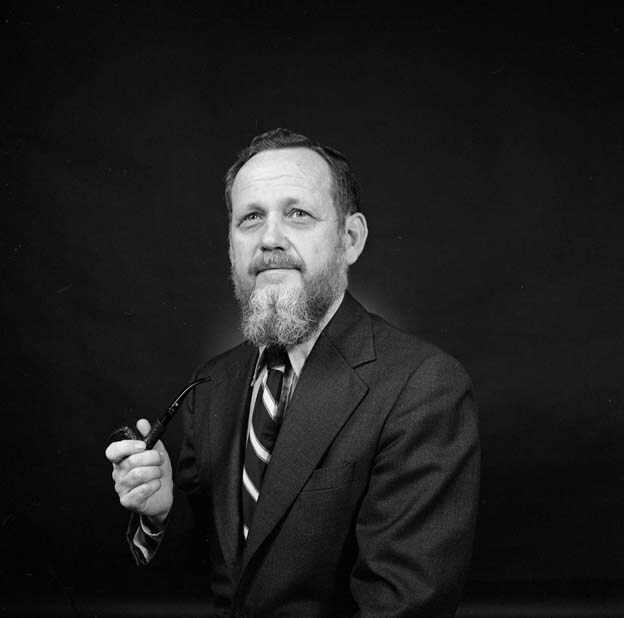 H. G. Jones, State Archivist, 12 September 1956; Photo by D. Phillips. From the General Negative Collection, State Archives of NC, N.56.9.28. After graduating high school, H. G. volunteered for the Navy in World War II. He wrote about his experiences in the book, The Sonarman’s War: Chasing Submarines and Sweeping Mines in World War II. After the war he attended school under the G.I. Bill, earning both a master’s degree and Ph.D. He then taught for several years until he was appointed State Archivist of North Carolina by Gov. Terry Sanford in 1956. 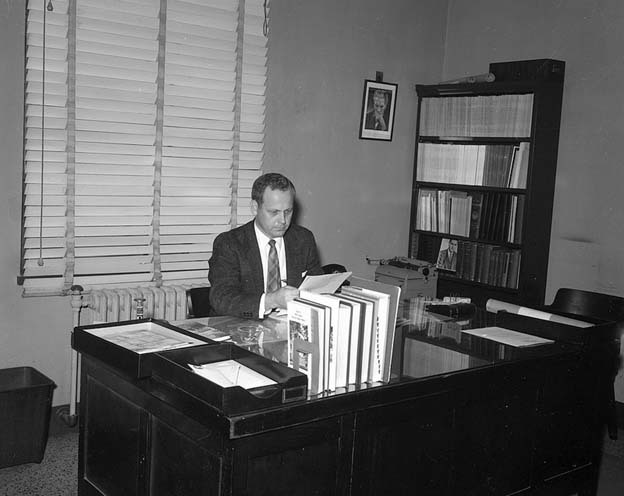 In 1968, Dr. Jones was tapped to serve as the director of the State Department of Archives and History, until he resigned in 1974 to take on the duties of the curator of the North Carolina Collection and adjunct professor of history at UNC-Chapel Hill. Many of today’s public historians took courses under him. He retired from that position in 1994, although he became the Thomas Whitmell Davis Research Historian and could be seen in a carrel in Wilson Library conducting research until his health prevented him from doing so. From 1969 to 1986, Dr. Jones wrote a weekly column titled “In Light of History,” which was devoted to North Carolina history. He also wrote many award-winning books, including For History’s Sake, Local Government Records, North Carolina Illustrated, and North Carolina History: An Annotated Bibliography. Just a few years ago, he wrote Miss Mary’s Money: Fortune and Misfortune in a North Carolina Plantation Family, 1760–1924. In 1975, Dr. Jones co-chartered the North Caroliniana Society to encompass all the state’s cultural heritage, not just history. He remained secretary-treasurer of that organization until 2010. As evidenced in his collection at the State Archives, Dr. Jones served as chair or president of nearly all of North Carolina’s historical organizations at one time or other during his lifetime. He was appointed to the North Carolina Historical Commission in 1978 and served as an emeritus member from 2002 until his death. Nationally he was elected president of the Society of American Archivists (SAA), secretary of the American Association for State and Local History (AASLH), and commissioner of the National Historical Publications and Records Commission (NHPRC). His publication, The Records of a Nation, was used as evidence during the Watergate hearings. Dr. Jones received numerous accolades throughout his career and beyond. A few of the highlights include the Award of Distinction (AASLH), the Award for Distinguished Service in Documentary Preservation and Publication (NHPRC), the Christopher Crittenden Memorial Award (North Carolina Literary and Historical Association), the Ruth Cannon Cup (North Carolina Society for the Preservation of Antiquities), the John Tyler Caldwell Award (North Carolina Humanities Council), and the North Carolina Award for Public Service, bestowed upon him by Gov. Mike Easley in 2002. What I will remember most is my last visit with him on September 19, coincidentally my birthday. I shook his hand and he told me how much he pitied the archivist who would have to organize his papers. I smiled and assured him that his collection was in much better shape than most that make their way to the Archives. His voice was weak, but his spirit was strong, and it was evident that he was concerned about his legacy, even near the end. His wish was that his papers be preserved in the State Archives, an agency that grew stronger under his leadership as both an employee and later as a member of the Historical Commission, spanning over half a century. Portrait of Dr. H. G. Jones, emeritus member of the North Carolina Historical Commission, May 18, 2015. This entry was posted in News and tagged history, obituaries, Office of Archives and History, State Archives of North Carolina on October 22, 2018 by Ashley. Join the North Carolina Government & Heritage Library and the State Archives of North Carolina for free online live streaming presentations. View on your own on a laptop or desktop or at participating North Carolina libraries. This year the presentations will be focusing on local collections and resources for local and family history research. Local records, libraries and archives are a treasure trove of excellent information to Start @ Home for research. Everything is local, local, local! Staff from the State Archives of North Carolina and the Government and Heritage Library will discuss how information at their repositories will help you in your quest–treasures include local government records, county abstracts, family histories, and other resources. Newspapers contain a wealth of information from the articles to the advertisements; information that provides knowledge and insight into periods of time that may change the course of their research. Staff from the Government and Heritage Library, the State Archives of NC, and the North Carolina Digital Heritage Center discuss what and where information is available about both current and historical NC newspapers, tools to access newspaper content, and current, ongoing services to provide access to out of print newspapers. There are numerous types of materials held by public libraries and other local cultural heritage institutions that can provide invaluable information about local and family history that cannot be found elsewhere. Kristen Merryman, the Digital Projects Librarian from the North Carolina Digital Heritage Center, will discuss the city directories, yearbooks, and other local level publications that digitalnc.org has freely available for many towns and counties across North Carolina and how they can be used to fill in gaps and enrich your knowledge of your town and family’s past. Staff from the North Carolina State Historic Preservation Office will discuss different methods of research to uncover the genealogy of your house. Michael Southern, GIS coordinator and senior architectural historian, will demonstrate HPOWEB (http://gis.ncdcr.gov/hpoweb/), a web-based historic properties GIS mapping tool, and review information available in local architectural survey publications and nominations of properties and districts listed in the National Register of Historic Places. Claudia Brown, Survey & National Register Branch supervisor and architectural survey coordinator, will discuss resources for research such as city directories and Sanborn Insurance Fire Maps. Mitch Wilds, Restoration Services Branch supervisor, will talk about analyzing the building elements of a property in order to date it. This entry was posted in Events and tagged events, Family History Fair, Genealogy, history, press releases, State Archives of North Carolina, State Library of North Carolina on November 2, 2017 by Ashley. World War I poster: “Join the Air Service and Serve in France–Do it Now” (MilColl.WWI.Posters.10.43). Available online through the North Carolina Digital Collections. 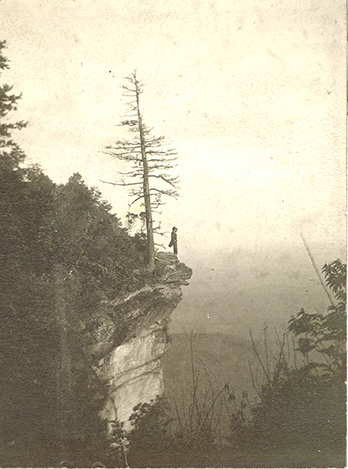 Follow the conversation on social media this summer to learn more about North Carolina’s role in World War I.
Postcard: “When shall we meet again,” addressed to Warren McNeill, Sept. 14, 1918. From the Warren C. McNeill Papers, part of the Military Collection at the State Archives of North Carolina. Available online through the North Carolina Digital Collections. This entry was posted in Digital Collections, Events, News and tagged North Carolina Collection, North Carolina Digital Collections, North Carolina Digital Heritage Center, social media, State Archives of North Carolina, State Library of North Carolina, UNC-CH, World War I on June 6, 2017 by Ashley. 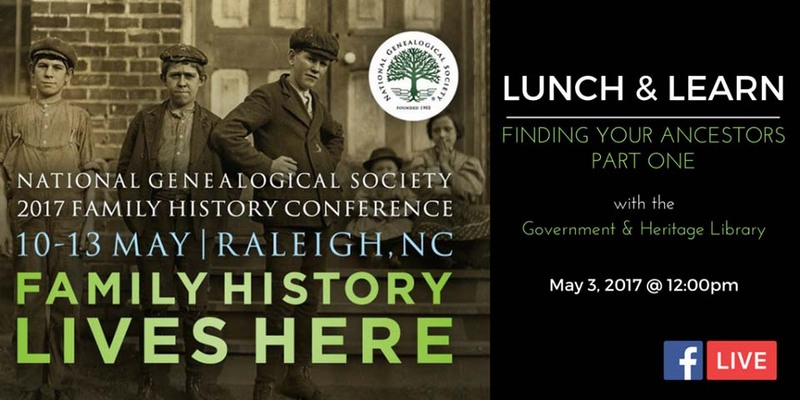 Wednesday, May 3 at 12 noon – Tune in to hear about genealogical research at the Government and Heritage Library, part of the State Library of North Carolina. Thursday, May 4 at 12 noon – Learn about resources available both in the Search Room and online from the State Archives of North Carolina. The State Archives has also updated the information under the genealogical research tab on this blog in preparation for NGS 2017. If you have any additional questions about your upcoming visit to the State Archives, please contact us. This entry was posted in Events, News and tagged Department of Natural and Cultural Resources, events, Genealogy, National Genealogical Society, social media, State Archives of North Carolina, State Library of North Carolina on May 3, 2017 by Ashley. 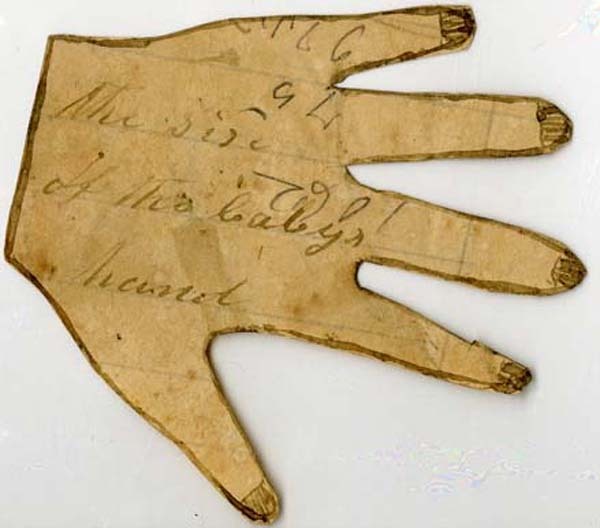 Tracing of a baby’s hand from a letter written by Martha Hendley Poteet to Francis Marion Poteet, June 16, 1864. Poteet-Dickson Letters, Private Collections. The earliest will known to exist in North Carolina, recorded in 1665 by Mary Fortsen. It is unusual because female property owners were extremely rare in the 1600s. A 1903 copy of the North Carolina Constitutional Reader. In 1901 rules were enacted to prevent illiterate African Americans from voting, and this book was published to help African Americans read the Constitution in case they were questioned at the polls when trying to vote. Information on GIS and website preservation. Audio recordings of World War I soldiers’ oral histories. North Carolina’s official copy of the 19th Amendment, which gave women the right to vote, and 26th Amendment which allowed U. S. citizens 18 years and older to vote. To learn more, visit the exhibit page on the North Carolina Museum of History website. This entry was posted in Events and tagged exhibits, North Carolina Museum of History, State Archives of North Carolina, Treasures of Carolina on July 29, 2016 by Ashley. The Collecting Carolina segment on the State Archives of North Carolina features many archival resources including the map collection. The State Archives of North Carolina was featured on the UNC-TV program North Carolina Weekend last week. The Collecting Carolina segment includes an introduction to genealogical and historical research at the State Archives, several of the treasures from the vault collection, and the State Archives conservation lab. It is available online on the North Carolina Weekend website and UNC-TV PBS video. UNC-TV is watched by more than 4 million viewers each week, and almost 75,000 members send in their contributions each year to keep UNC-TV on the air. During 2014-2015, UNC-TV and its partners produced more than 340 hours of original local programming, making it a leader in the public television industry in that respect. UNC-TV has received 7 Regional Emmy Awards already this year and many other honors for its programming and services over the years. UNC-TV’s programming reaches into 13 million homes including all of North Carolina, into portions of Virginia, West Virginia, Tennessee and South Carolina. This entry was posted in Events, News and tagged conservation, Genealogy, State Archives of North Carolina, treasures, UNC-TV, YouTube on July 20, 2015 by Ashley. The Friends of the Archives is pleased to announce an upcoming exhibit on the documents, history, and purpose of the State Archives of North Carolina. 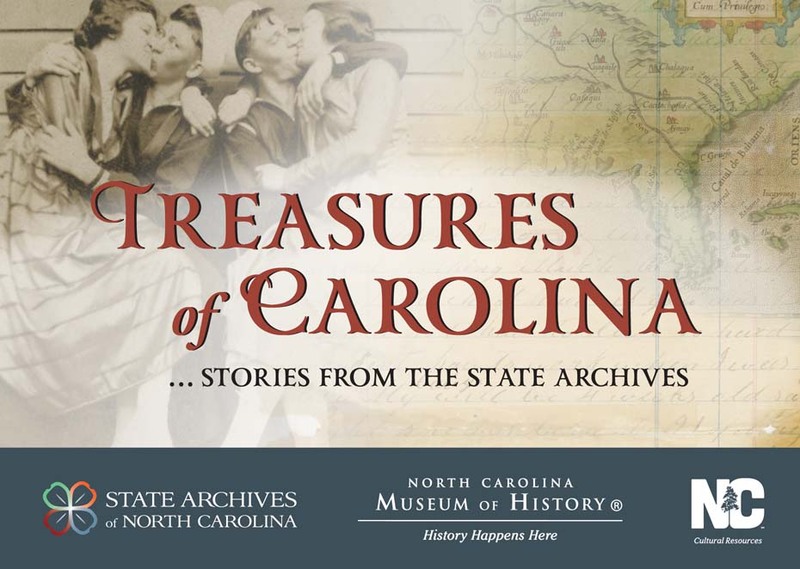 Treasures of Carolina: Stories from the State Archives will be open at the North Carolina Museum of History October 24, 2015 – June 19, 2016. Through a selection of documents from the Archives vault, unique letters, historical photographs, county and state agency records, posters, and digital media, the exhibit will illustrate the ways the State Archives documents state and county government, provides evidence of civil rights, and preserves the history and culture of North Carolina. Sponsored by the Friends of the Archives, the exhibit will highlight rarely displayed archival materials, such as the 1663 Carolina Charter, North Carolina’s copy of the Bill of Rights, and a map dating from 1584, the oldest in the Archives’ collection. It will include fascinating glimpses into the lives of famous and not-so-famous North Carolinians through the documents they left behind, such as: a hand-drawn map from the Tom Dula murder trial; the 1665 will of Mary Fortsen, the oldest will known to exist in North Carolina; a rare 1903 African American publication created in response to changes in voter registration laws; the naturalization petition for Chang and Eng Bunker; and World War I photographs from North Carolina soldiers and sailors. The exhibit will also touch on current initiatives to capture and preserve online resources such as social media, GIS data, email, and government websites. In addition to materials from the collection in Raleigh, the exhibit will include items from the Archives’ regional repositories, the Outer Banks History Center (Manteo) and Western Regional Archives (Asheville). February 15 – June 14: Signature documents including items signed by George Washington, Thomas Jefferson, Abraham Lincoln, Franklin Roosevelt, and Buckminster Fuller, among others. June 15 – June 19: North Carolina’s copy of the Bill of Rights. If you would like to support this event through a one-time donation, please visit the Friends exhibit web page for more information. Funding supplied by donors will be used for document conservation and framing, exhibit preparation, and informational materials. The Friends of the Archives is a 501(c) (3) non-profit organization formed in 1977 whose mission is to support, promote, and strengthen the collections, services, and programs of the State Archives of North Carolina. The mission of the State Archives is to collect, preserve, and provide access to North Carolina’s documentary history and culture. Learn more at http://archives.ncdcr.gov/GetInvolved/Friends.aspx. This entry was posted in Events, News and tagged events, exhibits, Friends of the Archives, North Carolina Museum of History, press releases, State Archives of North Carolina, Treasures of Carolina on May 6, 2015 by Ashley.